Hi, friends! 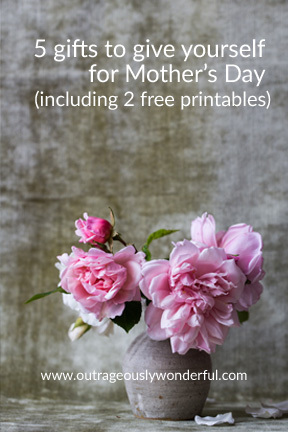 Mother’s Day can be a tricky day for lots of reasons so we are focusing on some gifts you can give yourself. And no, you don’t have to be a mother to enjoy them; you just have to be human. Whatever stage of life you are in, take time to take care of yourself today. To keep things easy, everything on the list can be found on Amazon. Because let’s be honest, Amazon Prime rocks. Shopping alone doesn’t happen very often and Amazon lets me get what I want and what I need without leaving the house. It’s no secret that I love to read. There are some books I want hardcover, but since we have a small house I do most of my reading on my Kindle. I have the Kindle paperwhite and I absolutely love it. It was a Mother’s Day gift the year I was pregnant with Bunny and it helped keep me sane during those marathon nursing sessions when she was a baby. I love being able to toss it in my purse and catch up on a good book anytime I find a spare moment. This is the last reading-related suggestion, I promise. Amazon has put some great books on sale this month. I recently read all three of Rachel Hollis’s books, Party Girl, Smart Girl and Sweet Girl, and her novella, Party Girl’s First Date, and each novel’s Kindle edition is on sale for $1.99 (free for Kindle Unlimited members) and the novella is just 99 cents! They are all great beach reads, or just sweet reads anytime you need a pick-me-up. I read them the week my grandmother died (yes, all four) and they helped keep me sane. They follow the lives and relationships of three girlfriends in LA and will make you laugh while reminding you of your early 20s. They are super quick reads and are sure to make your heart happy. Additionally, Shauna Niequist’s books, Savor and Bread & Wine are on sale for $1.99 for the Kindle version. They have both been on my “to read” list so I snapped them up. A friend gave me Secret Garden Artist’s Edition: A Pull-Out and Frame Colouring Book for Christmas this year and it’s wonderful. Each page can be removed and framed and the artwork is beautiful. I also love Just Add Color: Mid-Century Modern Patterns. I’m a big fan of using Sharpie Ultra-Fine-Point Permanent Markers with the coloring books. As I was thinking about my grandmother last week, Philippians 4:8 popped in my head. My grandmother was true, noble, right, pure, lovely, admirable, excellent and praiseworthy. She did more than think about such things, she lived them. She was a beautiful example of a life-well-lived. This verse is such a great reminder of her and how we should focus our thoughts that I created a printable to keep in my office. I’ve created a printable of Philippians 4:8 for you to download for free. Since it’s Mother’s Day, Proverbs 31:30 also comes to mind. To be honest, I’ve never really liked Proverbs 31, but a conversation with a dear friend recently changed the way I view this entire passage. The passage is now an encouragement to me and verse 30 is particularly meaningful to both of us. 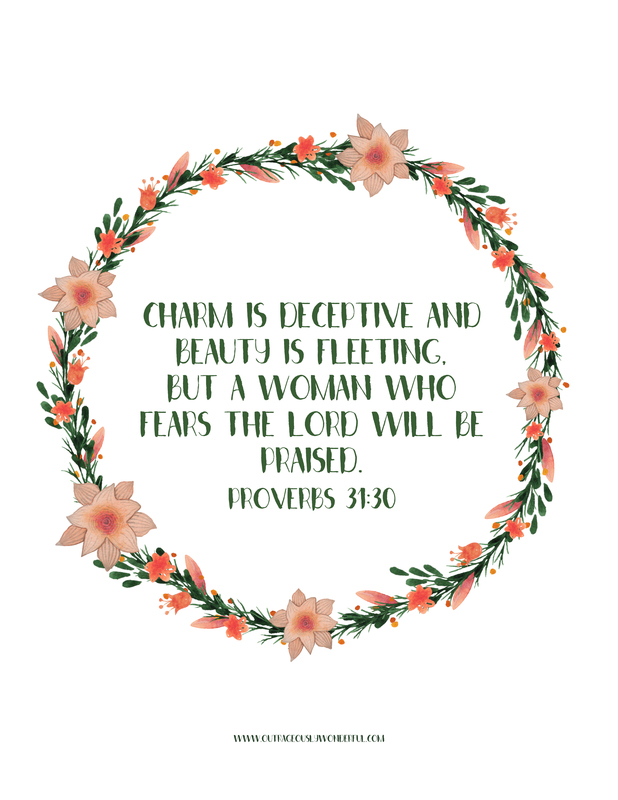 I’ve also created a printable of Proverbs 31:30 for you to download for free. I hope you find something to pamper yourself in this list today. What are a few of your favorite ways to practice self-care? * This post contains affiliate links, but all opinions are my own. When you make a purchase after having clicked an affiliate link, I may receive a small percentage of the sale with no additional cost to you. Your prices for all products remain the same, yet you’ll help financially support Outrageously Wonderful. First of all I like the concept of giving yourself gifts! Second, I love your suggestions. I live in India so I’m on the Kindle Unlimited version for India, but I enjoy it – although I may not get access to all the book you do. As awful as it sounds, I can’t think of life without a Kindle now! Thanks for the links for the colouring books – love them.